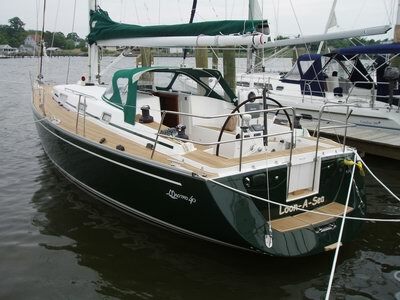 Maestro Boats has delivered first Maestro 40 to USA client. Hull M40-007 was ready at yard at end of april and delivered by ocean ferries to Baltimore harbour. 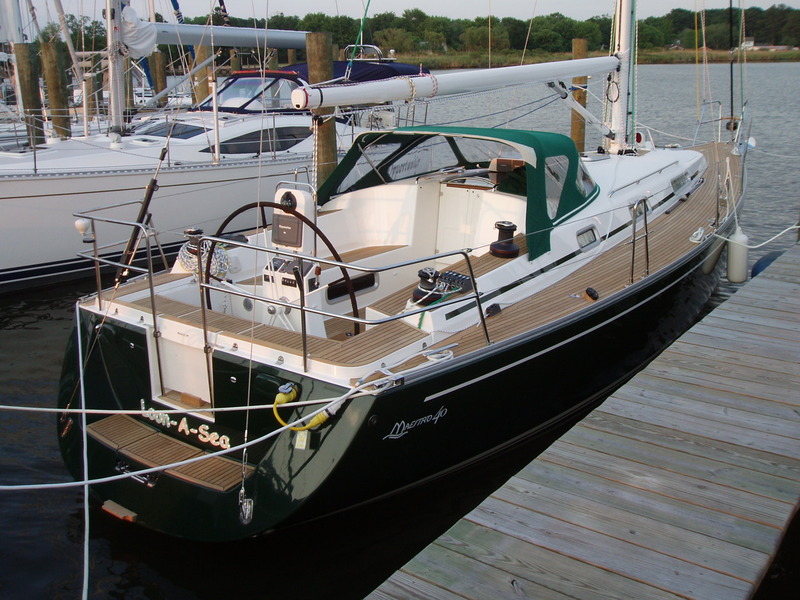 Maestro North American agent Still Yachts and representative from yard took Her to Rock Hall, MD where boat was rigged and test sailed. For long voyages Maestro Boats will pack boat very carefully. 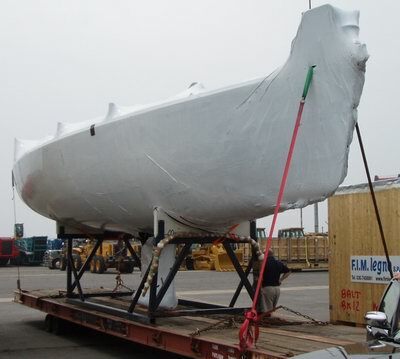 Boat is fully covered with special shrink wrap plastic and secured firmly. All boats are delivered below seadeck to avoid damages during long ocean voyage. M40-007 Loon-A-Sea has received an carbon rigg made by Offshore Spars. This white mast is smooth and beautiful looking piece of art. Advantages in weight makes shallow keel (draft only 1,9 meters / 6,3 ft) boat as good as standard keel boat. Using carbon is becoming more popular and now also Maestro Boats has taken one step forward in this field. Thanks to Offshore spars for good co-operation during this first delivery. 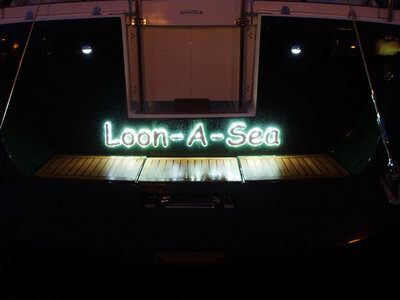 M40-007 "Loon-A-Sea" is equipped with special lights. 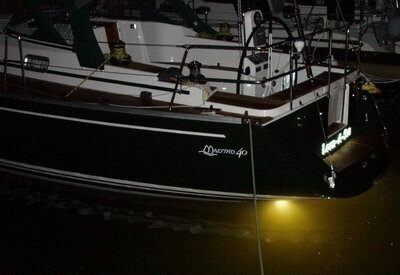 Boat has cockpit sole LED-lights, illuminated name sign, underwater lights and boom light with dimmer. All these special lights makes using boat safe and nice. 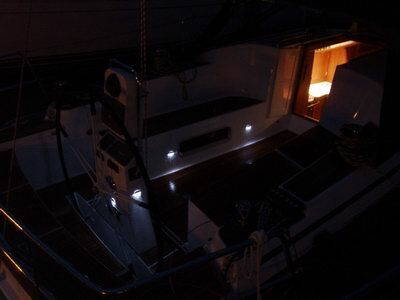 During night sailing moving in cockpit is secure cause floor is illuminated. At harbour illuminated cockpit light with boom light makes dining fantastic. Underwater lights gives nice view down to bottom in blue water areas. Cockpit lights are innovated by Maestro Boats Design team. Underwater lights are delivered by Underwater Lights Europe Sarl. See their website http://www.underwaterlightsusa.com . Illuminated name sign is delivered by Yachtlite Stefan Wienecke GmbH. See their website http://www.yachtlite.com . M40-007 had three-day sea trials, where all equipment was tested in actual conditions on Cheasapeak Bay, MD. 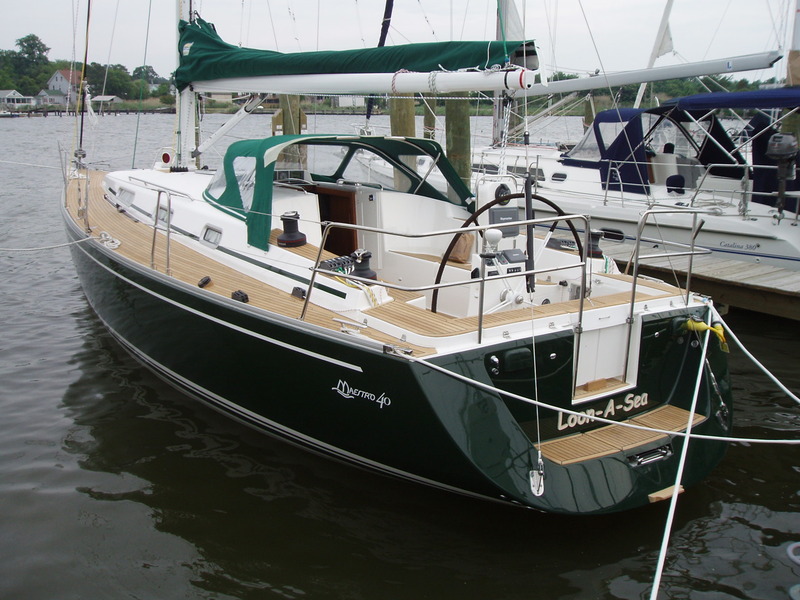 Weather varies from light breeze to strong north wind and wave hight from zero to 3 ft. Sail test made by Maestro Boats, Still Yachts personnel with owner were success. Owner of the boat was really satisfied to sailing performance. Maestro Boats yard will start our summer holidays at 17.7.2006 and yard will be fully closed next 2 weeks. We wish for all nice and sunny summer.